Available now from laboratory equipment supplier, John Morris Scientific , the new Fritsch compact Analysette 22 MicroTec plus laser particle sizer is an economical solution for quality and process control, as well as, research and development applications. 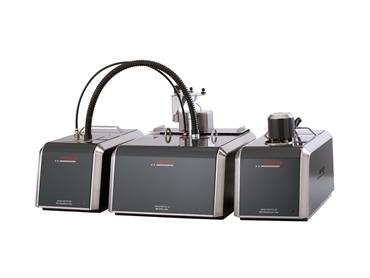 With a variable measuring range of 0.08 – 2000µm, the MicroTec plus laser particle sizer is typically used to determine the particle size distribution of samples in powder form, solids in suspensions and emulsions. Despite being small in size, the Analysette 22 MicroTec plus laser particle sizer achieves precision measurement, even with large particles, through its use of both a green and infrared laser, and its detectors, which capture 108 measuring channels. The green laser in this laser particle sizer carries out the measurement of small particles, while the infrared laser carries out the measurement of large particles. Both lasers can be aligned quickly, automatically and independently of each other. The advantage of having two lasers is precise measurement across a range of particle sizes. When switching between small and large particles, the detector and laser source simply move as a unit while the measuring cell remains fixed in place. This is why the laser particle sizer is able to remain compact in size and calibration is a lot more simple. fully automatic analysis with results viewable on the screen or in a printed report format.